The modern and cozy decorated apartment Okko is in a quiet location just outside Hooksiels. You spend your holidays close to nature and have the popular coastal resorts Hooksiel Horumersiel and Schillig nearby. There are other tourism services, shops and attractive restaurants. The North Sea loaded with sand and grass beach, dog and textile-free beach and the sea water indoor wave pool and Friesland thermal bath to bathe, romp and relax. The gastronomy of Wangerland offers regional cuisine, seafood specialties, tasty Ice delicacies, pizza and pasta, coffee, tea and East Frisian beer. Before the house is a parking space available free of charge. In this top floor apartment you will find a living room with dining area and kitchenette, a double bedroom, a bedroom with twin beds and a daylight bathroom. The light-filled apartment is comfortably furnished, so you feel you would like from the first day on. For your entertainment there is satellite TV, stereo, CD radio, books and board games available. The shared garden has comfortable seating areas and barbecue grills. The kitchen has plenty of dishes, cooking utensils and the necessary small electrical appliances (coffee maker, coffee-Padautomat, toaster, kettle, egg cooker, raclette and fondue device). Upon request, a cot and a high chair for the little guests are available. Final cleaning: once per object costs in the amount of 45 EUR (obligatory). Towels: to rent once per person for 7 EUR (optional). Bed linen: to rent once per person for 9 EUR (optional). Pet: once per animal costs 12 EUR (optional). 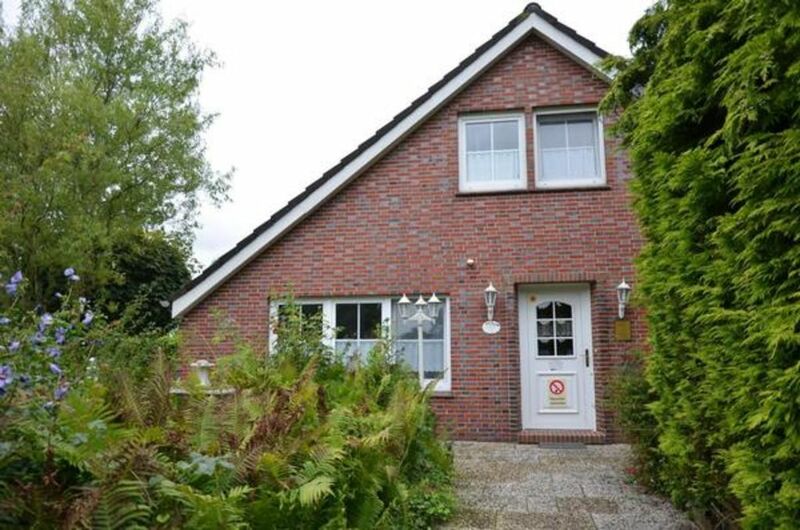 Our apartment is located close to nature at the gates Hooksiels on the North Coast. The popular resort Hooksiel is just 2.0 km away, City center is only 3.5 km. The center of Horumersiel lies around 5.0 km away. In both places you will find attractive retail shops, supermarkets and diverse dining options. Choose your bathing Stand: grass or sandy beach, dog beach textile or loose beach. Linen (once per person, available 9 EUR). Towels (one per person, available 7 EUR).